Discover the hidden beauties of Pico Island at your own pace. Let us take you to special places, whether historic in nature or just naturally beautiful.Use our marked maps to explore old monuments, churches, historic locations, villages, breathtaking landscapes and some remote trails used by the first settlers.From high places, enjoy the beautiful green meadows and farmland that contrast with the deep blue of the ocean. Notice how the little white villages look like they are “sprayed” on the green hillsides. Take time to enjoy the local handicrafts and folklore as well as the unique gastronomy of the region. We can provide you with maps of the walking trails. If you prefer to venture further, choose our guided trekking circuits, the perfect way to explore our island, its history and culture. 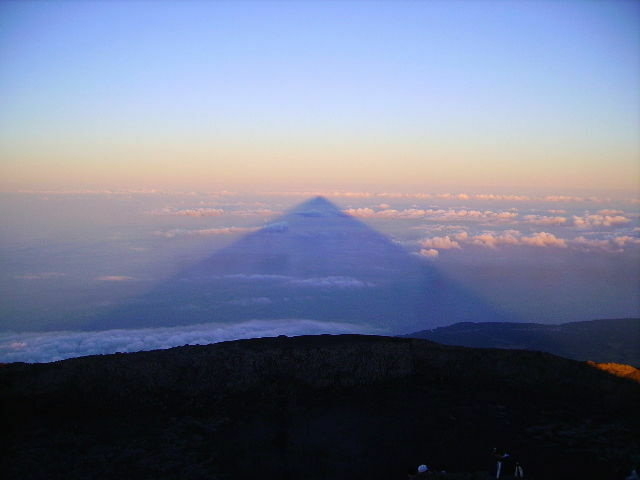 Pico Island offers a set of official marked trails that you can walk alone after obtaining their maps. If you prefer you can opt for guided trails within we highlight the "Donkey’s Trail" that runs through the island and that was an important mean of communication. 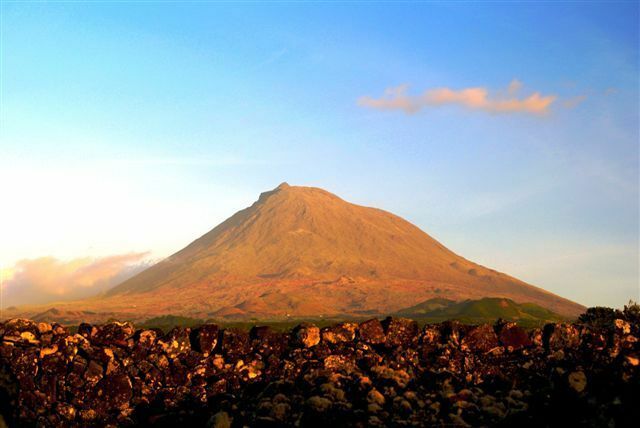 Our volcano is what gives Pico its "soul" and its charisma. Its powerful charm makes you want to climb it. The venture is a demanding one, but one that provides breathtaking experiences. Climbing Pico requires a certain physical aptitude. Although all hikers must register with the Civilian Protection Office at the base camp, we advise in the strongest possible terms that you hire a guide to can ensure your safety. Daylight climbing starts in the morning. Full day activity. Note Clients should bring min 1,5LT water, energetic food, mountain boots, warm confortable and waterproof clothes. Transfers have an extra cost. Begins with night climbing. Make sure you have a flashlight. Watch the mountain wake up from 7,713 feet. 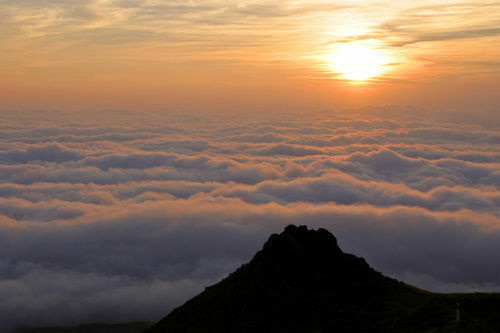 It feels like welcoming dawn on the roof of the world while Pico projects its shadow over the Atlantic Ocean. You will also have a fantastic view of Faial and Sao Jorge Islands. As you climb, so does the night slowly descends upon the hills, and you will feel swept off your feet by Mother Nature as this quintessentially romantic natural show colours the Ocean's surface with almost unrealistic colours and shades.